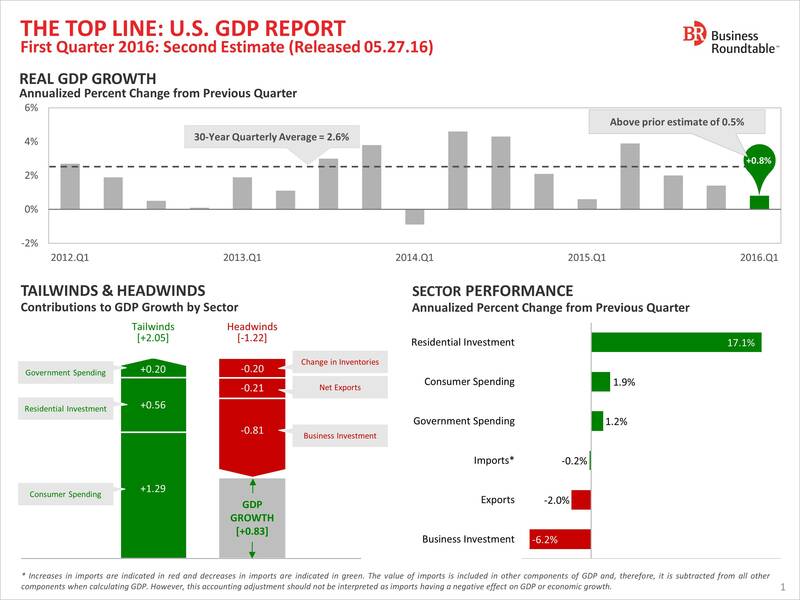 The U.S. economy grew by 0.8 percent in the first quarter of 2016, the Bureau of Economic Analysis announced in its second estimate released today. The growth represented a slightly faster pace than initially estimated, though still below the 1.4 percent growth rate in the final quarter of 2015. 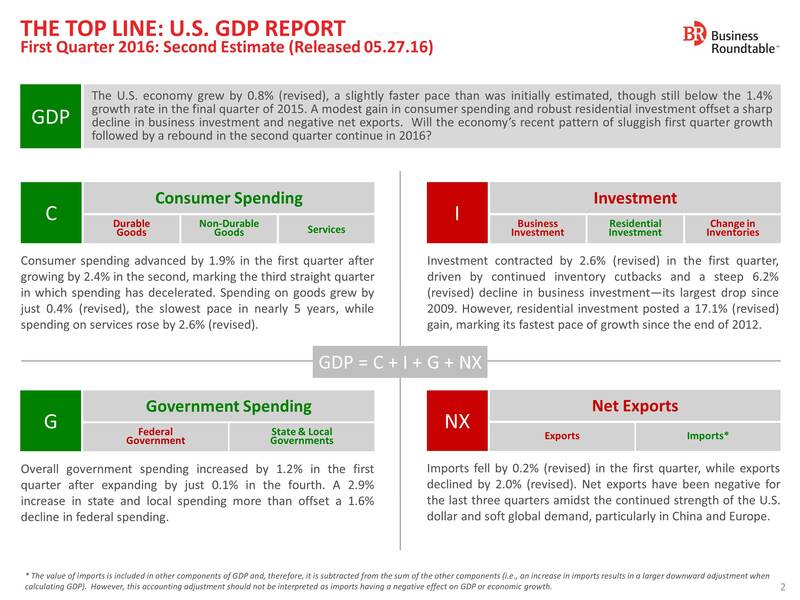 A modest gain in consumer spending and robust residential investment offset a sharp decline in business investment and negative net exports. For more analysis, see The Top Line report below or online here.